Moloka’i is a sleepy island 38 miles long and 10 miles wide with the dramatic allure of Kauai’s sheer sea cliffs, hidden valleys, and waterfalls but without the crowds. The blue Pacific laps the edge of the coastal road that traces the eastern shore. 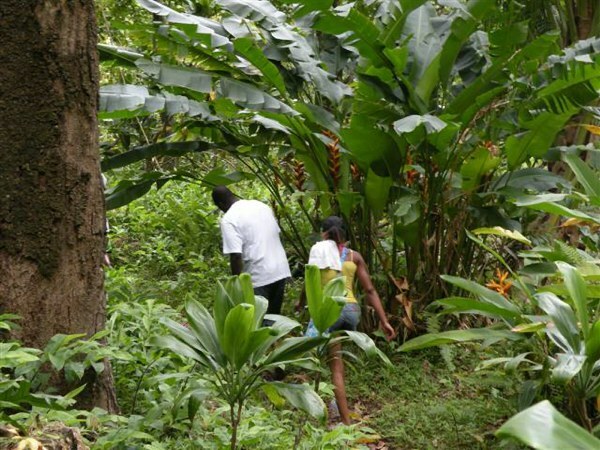 The road is shaded by a tangle of tropical foliage and narrows into one lane. It reminded me of the drive to the Napali Coast on Kauai before it was taken over by tour buses. A precipitous climb delivers stunning views of white fringed beaches far below and Maui resting beneath a billow of white clouds. As I neared the trailhead where I was to meet my guide into the sacred Halawa Valley, I had the sensation of dipping into the distant past. I was greeted by Lawrence Aki, a fifty-generation descendant of those who lived in valley. Like them, he continues to raise taro and pound it to poi…the pasty purple staple of the people of old. The trail to Mo’oula is rocky and root strewn, but worth every effort to reach the two-tiered waterfall tumbling over a verdant pali (precipice). Today 80 percent of the existing plants and trees in the valley are introduced from other exotic locales. Towering mango shade the centuries-old trail lined with giant ferns and splotches of wild pink impatiens. We passed by a temple to Lono (god of agriculture and healing) that consisted of seven tiers of rock walls with levels for praying, dancing, and a sacrificial altar. Our guide did not want to talk about the human sacrifices that took place here, rather he stressed the Hawaiian concept of oneness with nature, the connection of the humans to the rocks, the trees, the clouds, the water. He talked about mana (spiritual power) that is passed from one generation to the next. When he sees someone, he sees who is standing behind them. “The ancestors never die,” he says, “ they are always looking over the shoulder of the living person.” If you are wise to their ways you can summon their knowledge and increase your mana. A shroud of mystery hangs over Halawa, the earliest settlement on the island with archeological digs dating it back to 570 AD. 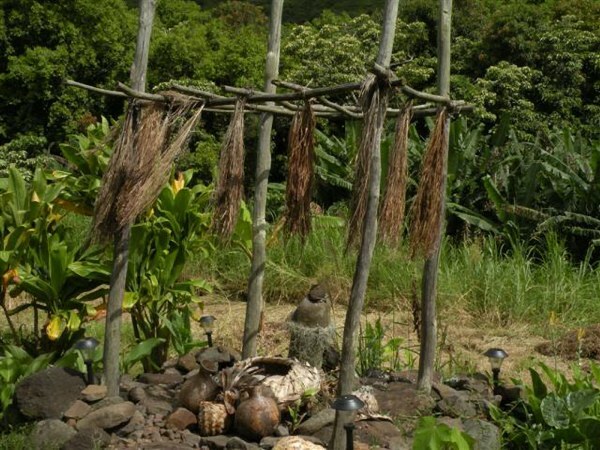 The heiau (temple) at the mouth of the valley is over a thousand years old. Hawaiians lived here peacefully for centuries, isolated from warring factions on other islands even after the aggressive Tahitian chiefs arrived in the 13th century. It is said that whenever invaders tried to approach, the seas rose in response to the powerful prayers of the priests. These priests were the keepers of the poison god and birds that flew over the trees, which were used to carve his image, would drop from the sky. By the time of Kamehameha the Great (1750-1819) priests could pray a person to death. One of the reasons Moloka’i has been slow to develop is that these ana’ana priests were greatly feared by other islanders who were pleased to leave them alone. When we reached the pool beneath the falls, I couldn’t wait to plunge into the bracing waters. After lunch I dried off on the rocks on the sun like Mo’ the great lizard spirit who guards these waters. Too soon we left what is the most authentic Hawaiian experience in all the islands and headed back to the 21st century. At the end of the hike, I bade farewell to the other guests and took a few extra steps to a protected white-sand beach for a private swim in the delicious rolling surf of Halawa Bay. 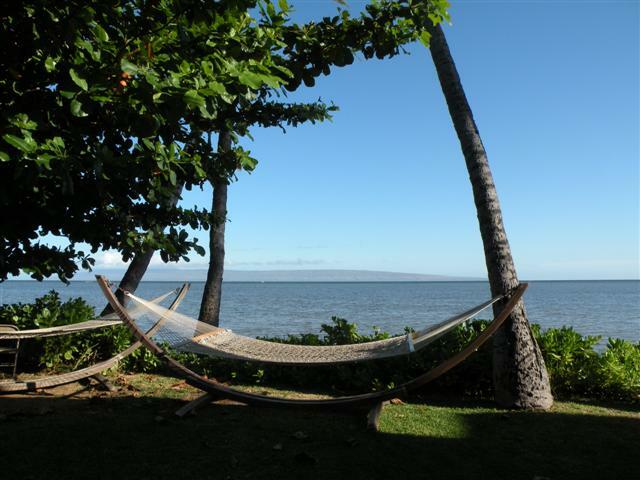 Laid-back Hotel Moloka’i rests beneath swaying palms on tranquil waters protected by a thirty-mile reef. Centrally located near Kaunakakai town and harbor it makes a good home base for explorations that include mule rides or hikes into the Kalaupapa Peninsula, Kamakou Preserve, and the dry west side of the island, home to some of the most gorgeous beaches in the world and the Mo’omomi Dunes. The hotel concierge will be happy to make arrangements for you for any of the Island adventures. Most people, however, come here for what the Island is most famous for…doing nothing. Evenings are spent swinging in a hammock beneath a haunting moon and listening to the sweet voices of local talent crooning Hawaiian favorites. With a light breeze off the calm Pacific, a belly full of ahi, teriyaki strips, crab cakes, poke, ribs, and coconut shrimp from the Hula Shores restaurant. . . well, my friends, this traveler could ask for nothing more. This recently renovated landmark hotel has retained its South Seas “glitch in time” charm. The shallow waters in front of the hotel are not swimmable, but there is a pool and good swimming beaches nearby. Kaunakakai is an old Hawai’i time-warp with everything you need within two blocks. Stop into the Molokai Fish and Dive shop to make arrangements for a snorkel, kayak, diving, or fishing trip on one of the world’s great reefs. Once you fill up on supplies at the Friendly Market and buy a few handmade crafts at the Bamboo Gift Shop, go to the helpful Molokai Visitors’ Bureau for heads ups on road conditions and a map, and then head out to explore the island. From the Kalaupapa Lookout I gazed down upon the peninsula that was home to hundreds of hapless victims of Hansen’s disease, or leprosy. In the 1850s they were forced to live here in isolation. 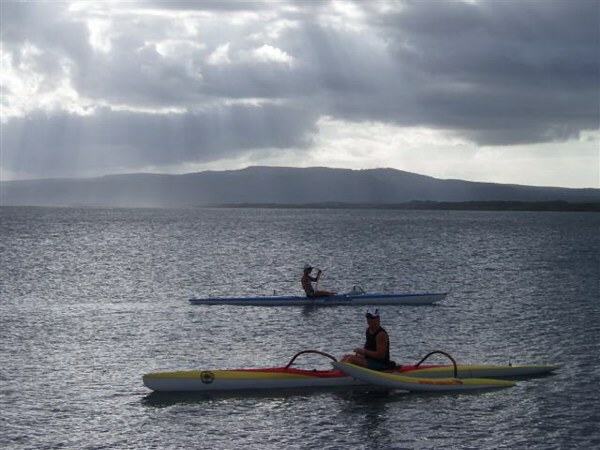 The kindness is that they were given the most spectacular setting on Moloka’i. The knob of land jutting out into endless blue backed by shaggy green sea cliffs is scalloped with crescents of white sand kissed by translucent jade waters. The highest sea cliffs in the world prevented escape and kept curiosity seekers out. Today you may hike, fly, or arrive by mule train to the historical village where about 25 residents chose to remain. You must obtain a permit from the Historical Park Headquarters and be 16 or over, regardless of your mode of travel. Father Damian, the priest who arrived in 1873 and worked tirelessly with the patients, acquired the disease and died from it in 1889. He is being canonized this year. 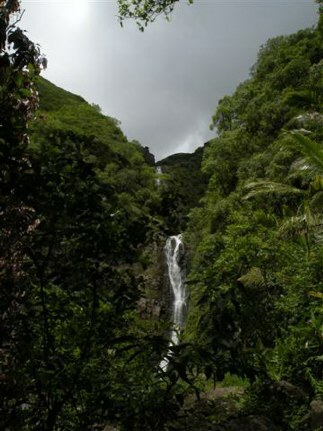 The rain forest of Kamakou Preserve lies near the summit of Molokai’s highest mountain. It is home to 250 species of endemic plants-at least 219 of which are nowhere else in the world. Once a month guided hikes are led by the Nature Conservancy. You can take the Pepe’opae hike on the boardwalk through what locals call “the bog” that takes you back a few million years on the cloud-draped trail without a permit from the Nature Conservancy, but you must have a four-wheel drive vehicle to navigate the road to reach the trailhead. The Waikolu Valley Overlook that provides views of the dramatic north shore is on the way to the trailhead. On Molokai’s northwest coast visitors can access Mo’omomi Preserve, one of the last intact coastal dune ecosystems in Hawai’i. Windswept dunes harbor native plants, nesting sea turtles, colonies of shearwaters, and numerous other birds. The Nature Conservancy offers guided hikes once a month, but you may enter without a permit or guide if you pick up a key for the gate to the preserve at the Nature Conservancy office. The catch is that the road to the gate can’t be reached unless you have four-wheel drive. Most of the roads are good on Moloka’i, but those to Mo’omomi and Kamakou Preserves are deeply rutted. Happily, Alamo Car Rental delivered a fleet of brand new shiny jeeps to the Island that you can rent for about $50 a day. If you just want to lie back and slosh in the surf, head for the dry west side of the Island. Highway 460 deposits you at Dixie Maru, where you can swim safely in a protected cove. Condos are available for rent or purchase on this side of the Island, but there are no towns. Moloka’i is a microcosm of the environmental battles raging throughout the islands. It is especially acute here where locals have made a hard stand against development. This has cost them dearly on an economic level, but because of this their beaches remain uncluttered and peaceful. I shared the delicious waters of Dixie Maru with perhaps six others and I had Papohaku Beach, a three-mile sweep of deep powder sand, all to myself. Here, deep swells rise to white bearded monsters that pound home Mother Nature’s message: “Don’t mess with me.” Locals turned up for happy hour with pupus (appetizers) and beach chairs to watch the sun slip into a pastel sea. 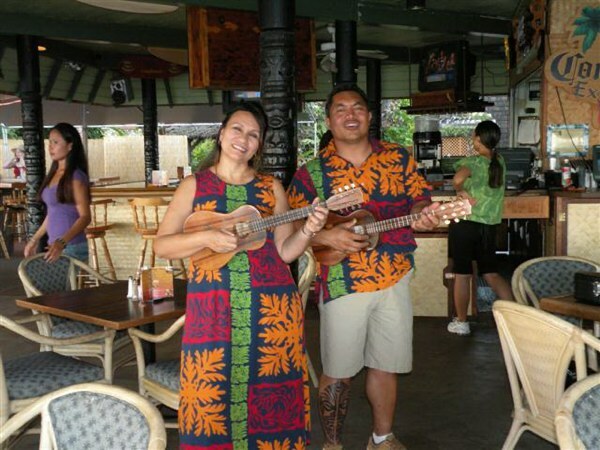 The next time I visit Moloka’i, I will contact Island guide, Walter Naki. For $50 he will take visitors out for four hours of kayaking or hiking into hidden gems throughout the Island. He is filled with great aloha, loves to talk story, and knows the Island like the back of his hand. I will time my visit in the summer so that I can explore the north shore with him. Ten months of the year enormous waves crash at the foot of the sheer sea cliffs preventing landings in four epic valleys that were once home to the ancestors. Waterfalls streaming down cliffs cloaked in shaggy verdure, scented with ginger, protected by ti plants remain isolated rugged and wild. Perhaps mischievous spirits of the priests of the past want mystical Moloka’i to stay that way.